I would say I’ve been slacking with blogging, but I just honestly haven’t had the time. But I’m back on it…I promise. 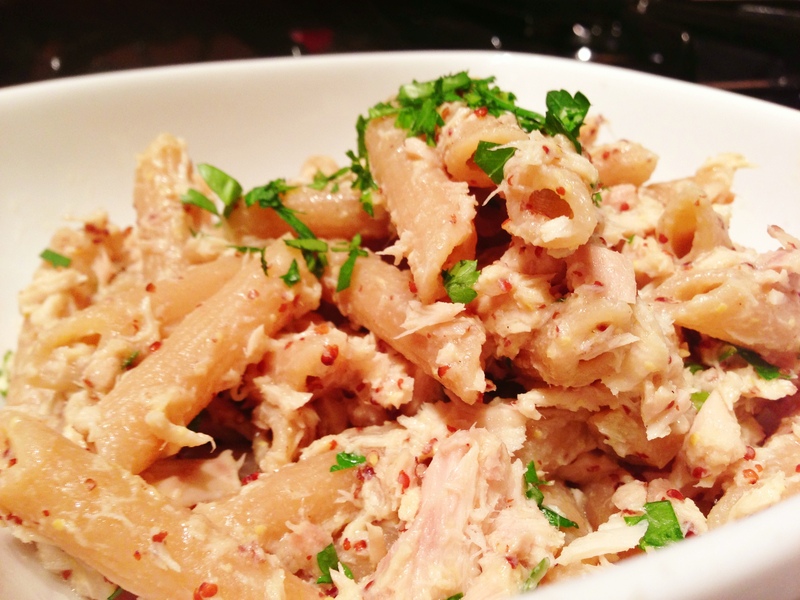 Since I’m short on time, a lot of my meals have to be prepped and cooked in a hurry, including this Tuna and Spicy Mustard Penne Pasta. 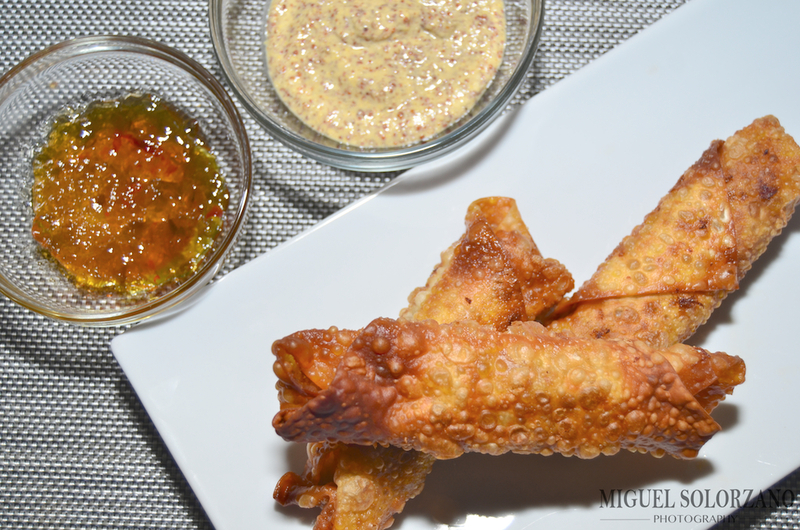 You can go from start to finish in 15 minutes without sacrificing flavor with this recipe. Cook the penne pasta until al dente, reserving one cup of pasta water before draining.. Drain the tuna, reserving the oil in a small bowl. In a separate bowl, break up the tuna pieces and set aside. In a large skillet, heat the reserved oil with the mustard over low heat. 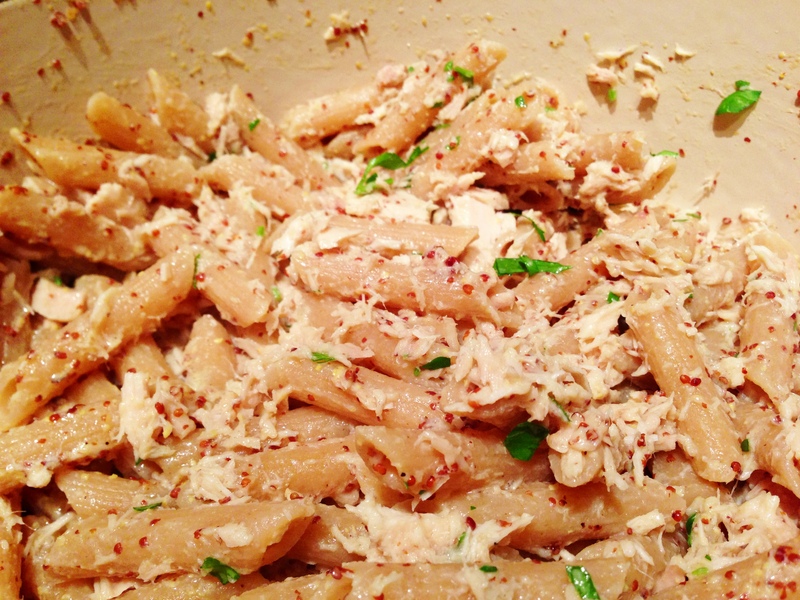 Add the drained pasta and tuna to the skillet and toss to combine. Add the pasta water as necessary to create a sauce that clings to the pasta noodles. Toss in the chopped parsley, mix to combine and serve. In a way, this is a sort of quick tuna casserole, just without all the baking and extra calories that come with it. If you’re still sticking strong to your New Year’s resolutions, this recipe is also light on the waistline since it doesn’t involve cheese, cream or butter. 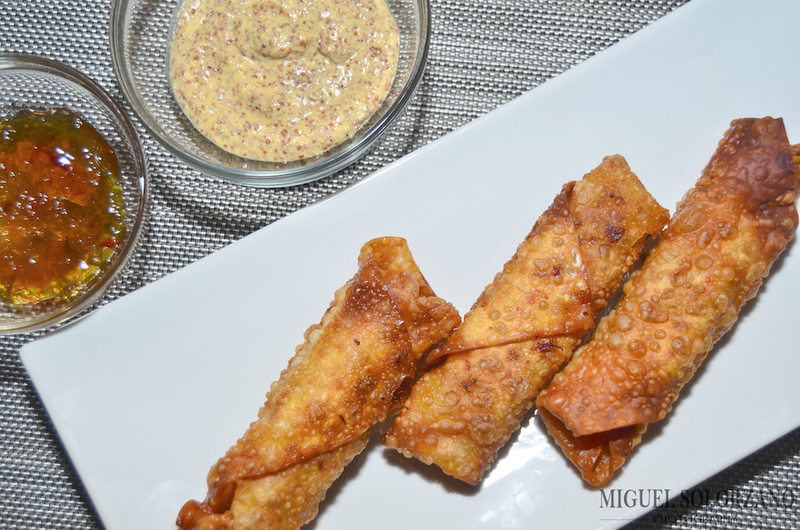 Next time you’re in a hurry, give it a try and you’ll realize you can create bold flavors in a short amount of time. 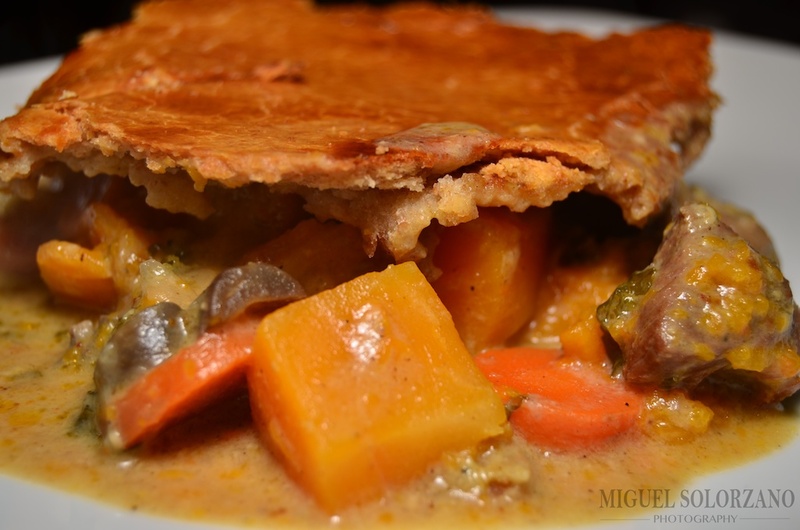 This recipe for Curried Leg of Lamb Potpie gets five stars in my book. It’s full of flavor and a very tender cut of lamb. I went the non-traditional route and served this as my Thanksgiving meal this year instead of turkey. Give it a try this holiday season. I promise you won’t be disappointed. Add the butter and pulse to the size of peas. Sprinkle in the ice water and pulse until a dough starts to come together. On a work surface, knead the dough a few times then shape into a disk. Wrap in plastic wrap and store in refrigerator for at least 90 minutes. In a Dutch oven, heat 1 tablespoon of the oil. Tender leg of lamb is combined with vegetables and coconut milk to make this delicious Curried Leg of Lamb Pot Pie. Season the lamb with salt and pepper and add half to the Dutch oven. Cook over high heat until browned on 2 sides, about 3 minutes. Using a slotted spoon, transfer the lamb to a bowl; repeat with 1 more tablespoon of oil and the remaining lamb. Add the first half of the lamb (in the bowl) back to the Dutch oven. Add the onion and cook over moderate heat, stirring, until softened. Add the curry powder and cook, stirring, for 1 minute. Stir in the flour, then gradually stir in the wine until smooth. Add the chicken stock and bring to a boil, stirring, until thickened, about 1 minute. Cover and simmer over low heat until the lamb is very tender, about 1 hour. Add the squash, kale, carrot, turnips, mushrooms and coconut milk to the casserole and simmer over moderately low heat until the vegetables are tender, about 10 minutes. Season with salt and pepper. Spoon the curry into a buttered 8-by-11-inch casserole or baking dish. Brush the dish rim with beaten egg. On a lightly floured surface, roll out the pastry to a rectangle or oval large enough to cover your dish. 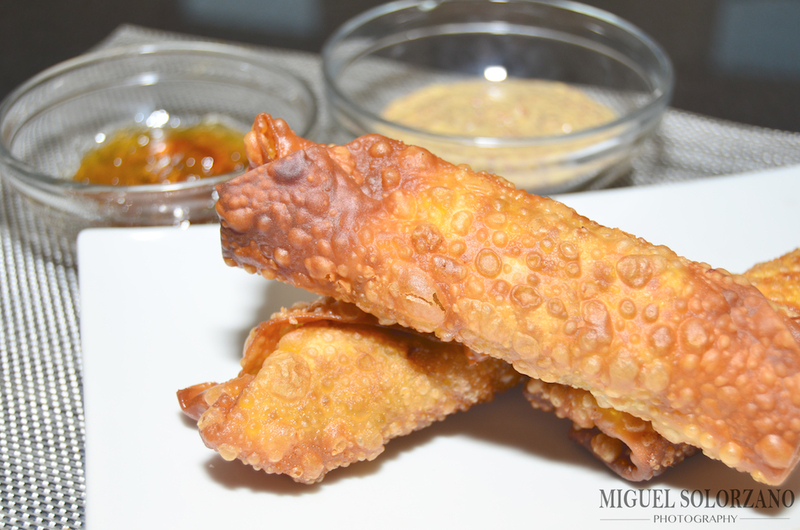 Fold the pastry in half, unfold it over the curry, and gently press onto the edge of the dish. Brush with beaten egg then cut 4 small steam vents in the top. 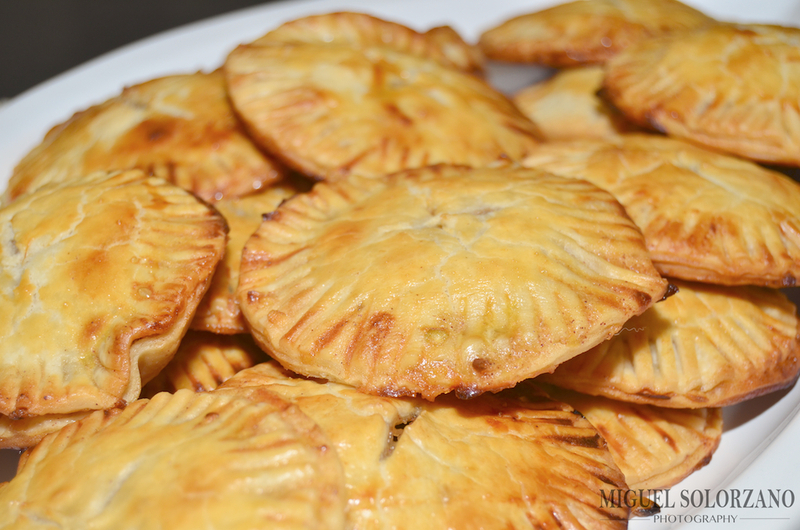 Bake the potpie for 30 minutes. 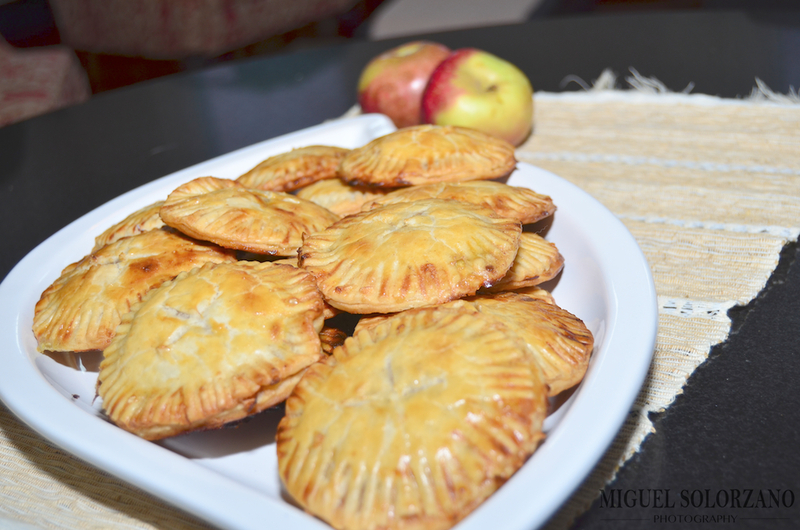 Raise the heat to 450°; bake for 20 minutes longer, until the pastry is browned and cooked through. Let rest for 20 minutes, then serve. 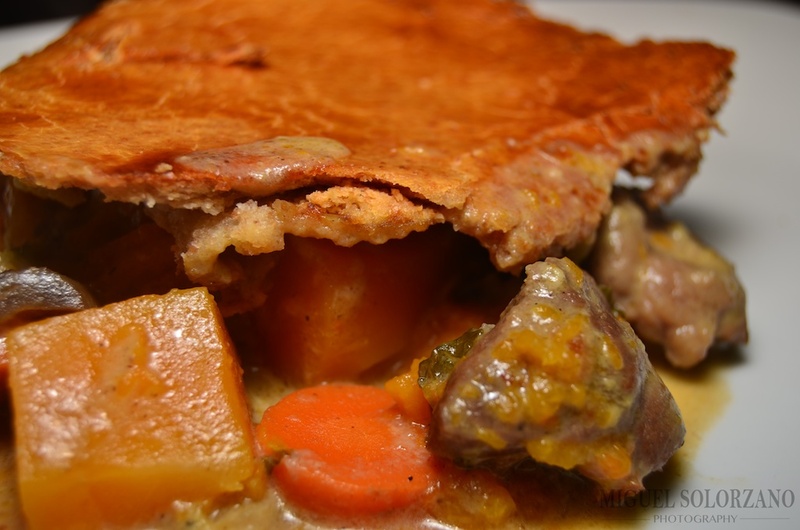 The lamb in this Curried Leg of Lamb Potpie cooks to a nice tenderness and goes well with the curry and root vegetables. 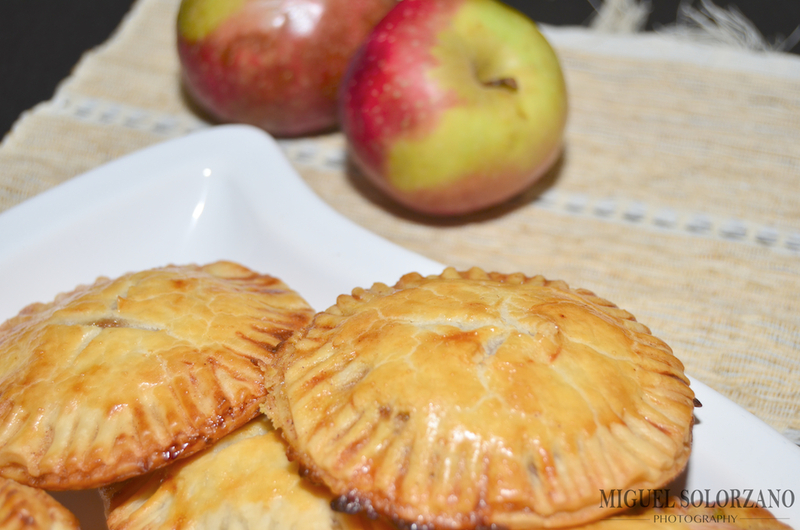 It’s a perfect filling for potpie. So, this holiday season, forget about chicken, beef and even turkey pot pie and do yourself a favor by trying lamb in your pot pie. It may be the best gift you give yourself this year. Down in Louisiana (and in the South, really) we love our pork products. So when my boss brought me some fresh andouille sausage and I picked up some Louisiana sweet potatoes from Hollygrove Market, I knew I had to make Sweet Potato and Andouille Soup. The smokiness of the andouille pairs very nicely with the sweetness of the sweet potatoes. Add quite a bit of hot sauce and you’ve got yourself a great soup. Boil sweet potatoes 10-15 minutes. While potatoes are boiling, pulse andouille in food processor to a nice crumble. Transfer sweet potatoes to oven and place directly on rack. Roast for an additional 10-15 minutes, let cool then peel and puree in food processor. 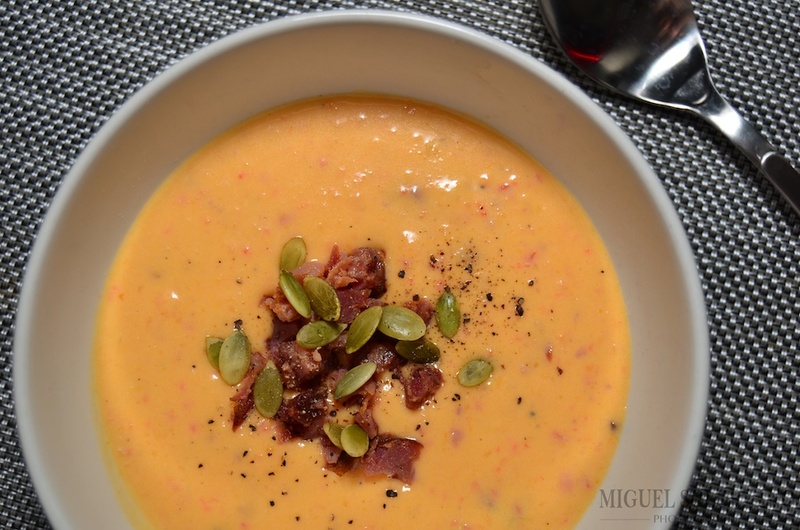 Impress your holiday guests with this recipe for Sweet Potato and Andouille Soup. In a large stock pot, saute celery, red bell pepper and onion in butter until vegetables are tender. Add flour and heat for 2 to 3 minutes, but do not brown. Add pureed sweet potatoes, hot sauce and diced andouille (saving some for garnish). Stir to mix. Add heavy cream, stirring to incorporate. Gradually add scalded milk, stirring constantly to desired richness. 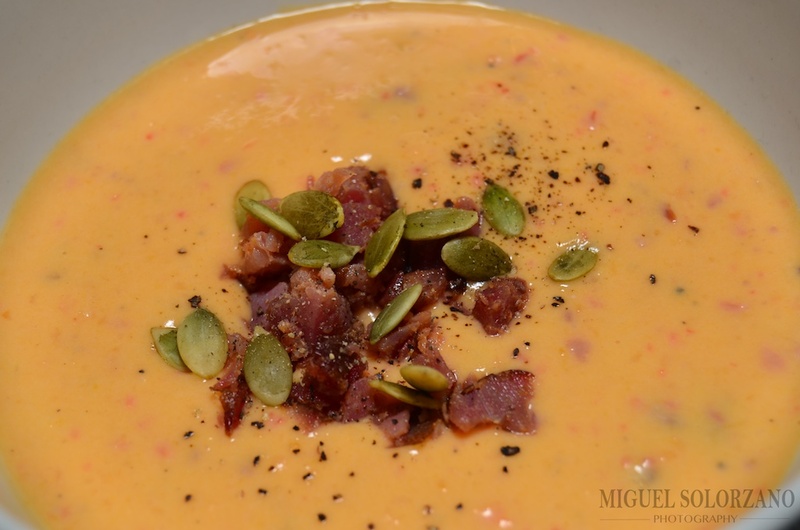 Ladle soup into bowls and garnish with cracked black pepper, crumbled andouille and pepitas. Sweet Potato and Andouille Soup takes about 45 minutes from start to finish if your scald your milk in advance. I was skeptical that using scalded milk would improve the soup, but I have to say it does so skip that part at your own risk. For the sweet potato-habañero hot sauce, I used the variety from Butcher here in New Orleans. It’s hands down one of my favorite hot sauces out there. You can by some here. With the election out of the way, forget about going red or blue and go orange with this recipe for Sour Orange Pulled Pork. The country may be divided on candidates, but (barring religious regions) we can all agree on the deliciousness that is pulled pork. 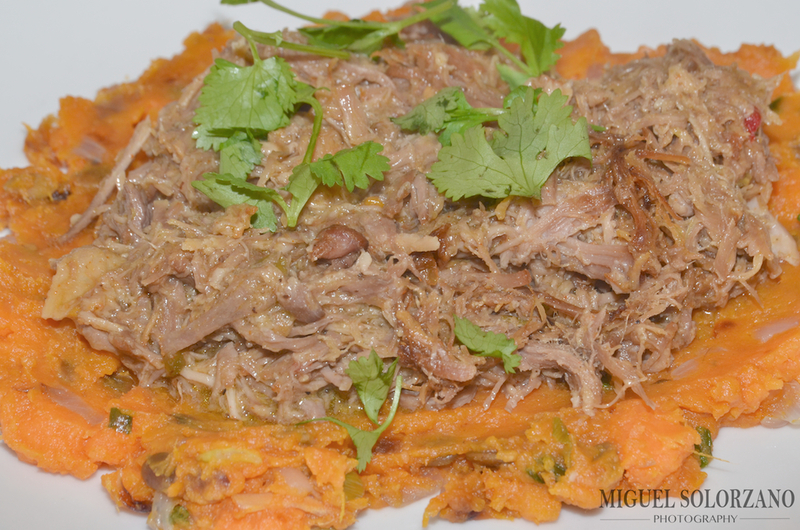 The sourness of the Sour Orange Pulled Pork goes great over a bed of mashed sweet potatoes. It’s a sour, sweet, salty, fatty combo that’s a great treat. 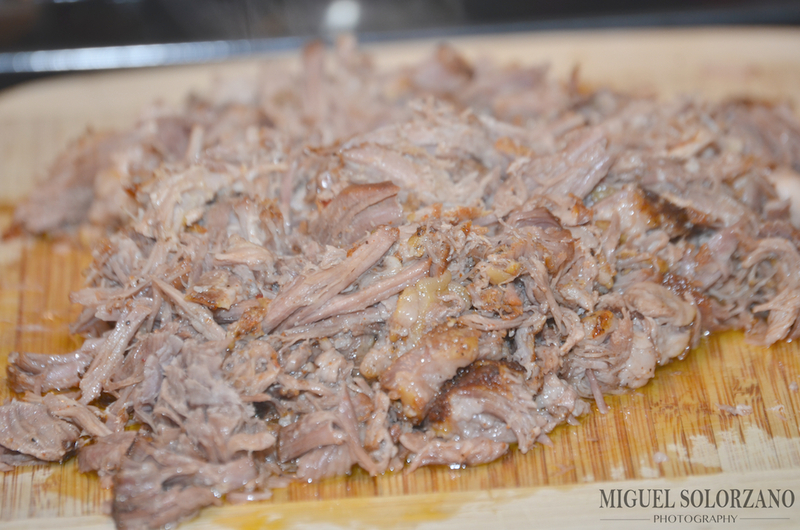 Sour Orange Pulled Pork is slow cooked in a mixture of orange and lime juice. 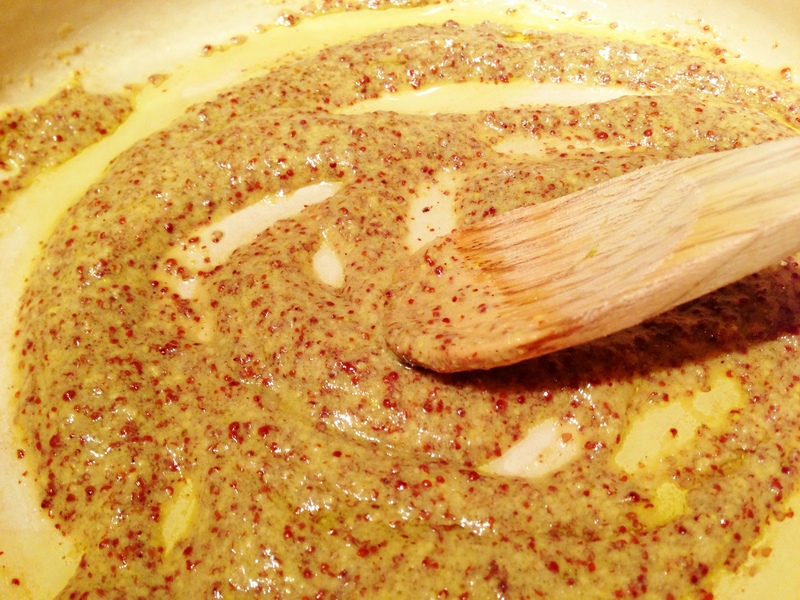 Whisk together 1/2 cup olive oil and garlic paste in a large roasting pan. Add the pork and turn to coat. Cover and marinate in the refrigerator for at least 8 hours and up to 24 hours. Remove from refrigerate 30 minutes before ready to cook. Season the pork all over with salt and pepper. Add the chicken stock and cover. While pork is cooking, put the orange and lime juices and honey in a large saucepan over high heat. Bring to a boil and reduce to 2 cups (it will be a syrup consistency). Let cool to room temperature. Also while pork is cooking, cut sweet potatoes into 1-inch cubes and boil in a large pot for 15-20 minutes or until soft. Once cooked, mash sweet potatoes to desired consistency. Heat the butter in a large cast-iron skillet over medium heat. Add the onion and mased sweet potatoes and press into the skillet with spatula. Cook, scraping and turning as the bottom browns, until hot. Once pork has cooked, shred the pork using 2 forks or your hands. In a medium saucepan, toss the shredded pork with the sour orange honey glaze and reheat over medium heat. Serve the pork on top of prepared sweet potatoes (reheated if necessary). Garnish with cilantro leaves. There are several components to Sour Orange Pulled Pork, but none of them are difficult. The hardest part will be leaving with the wonderful smell of slow-cooking pork in the oven. Exercise some patience! You can also add some cilantro to the sweet potatoes while cooking if desired. And if you really want to go hog wild (couldn’t resist!) you also add some bacon. The more pork the merrier. 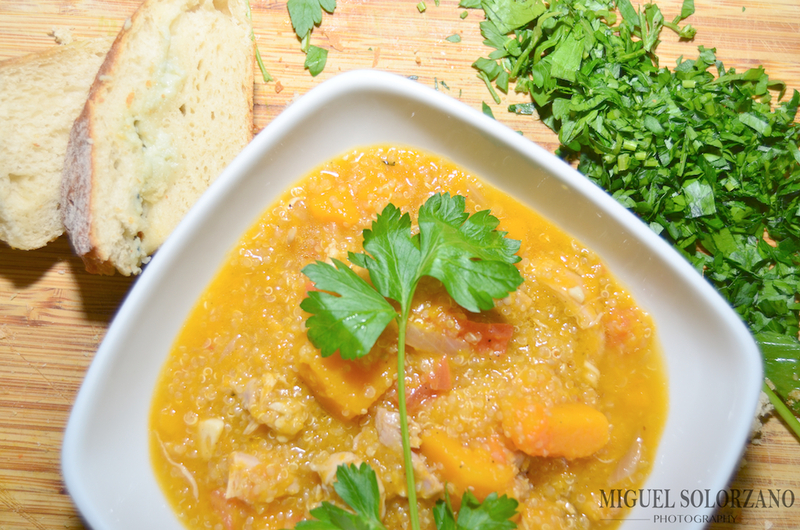 This recipe for Butternut Squash, Chicken and Quinoa Stew combines three of my favorite ingredients: Fall/Winter favorite butternut squash, chicken thighs and superfood quinoa. 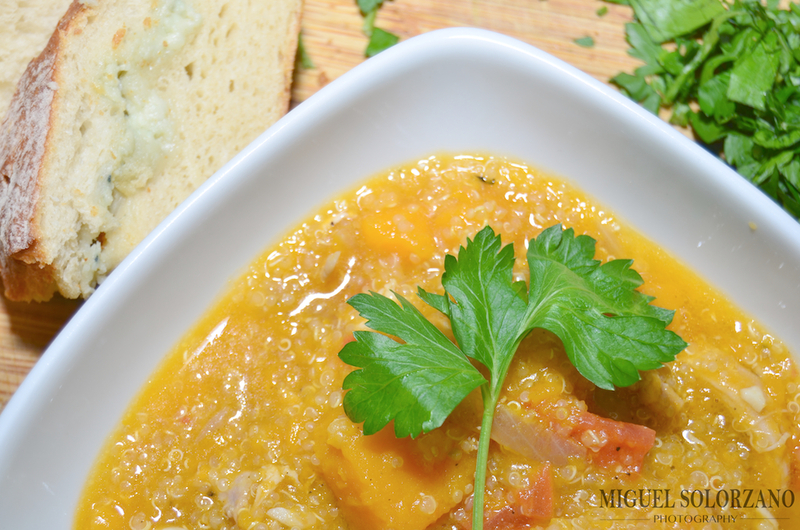 This stew is full of flavor, nutrients and warmth. It’s a hearty stew perfect for cold weather and serving family style. In a large pot, steam the butternut squash until barely tender (about 10-12 minutes). Remove half of the squash pieces and set aside in a large bowl. Steam the remaining squash an additional 4-6 minutes. Mash this squash with a fork or potato masher then add to non-mashed squash in the bowl. In a large Dutch oven (or saucepan), over medium-high heat, bring the chicken broth, some salt and pepper and chili flakes to a simmer. Add the chicken thighs, cover and cook until chicken is cooked through, about 12-15 minutes. Transfer the chicken thighs to a cutting board and let cool. Pour broth into a medium-sized bowl. Add the olive oil to the Dutch oven and return to the stove, reducing heat to medium. Add onion and cook, stirring occasionally, until onion is starting to turn brown, about 8-10 minutes. Add garlic and cook for an additional minutes, still stirring. To the Dutch oven, add the tomatoes and all the butternut squash. Stir to combine. Stir in reserved chicken broth and quinoa (make sure you’ve rinsed it). Bring to a simmer, cover and cook until the quinoa turns translucent, about 15 minutes. Meanwhile, shred the chicken with a knife and fork on the cutting board. Stir the chicken into the stew and simmer, uncovered, to heat, about 5 minutes. Some of you smartypants may notice parsley is pictured in the dish in the photos I have. You’re correct, but honestly, I didn’t like the parsley in this dish so I replaced mine with cilantro and it was much much better. 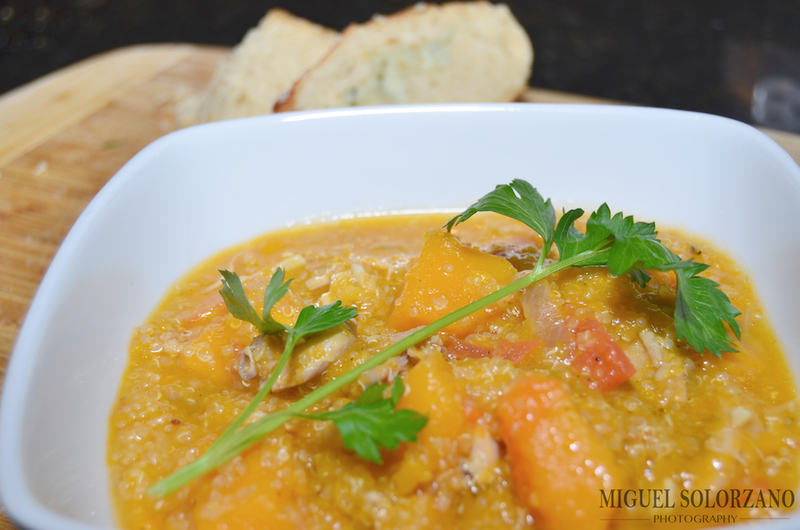 This Butternut Squash, Chicken and Quinoa stew is the perfect meal for all those cold nights quickly approaching. Enjoy it with a nice glass of wine and some freshly baked bread.